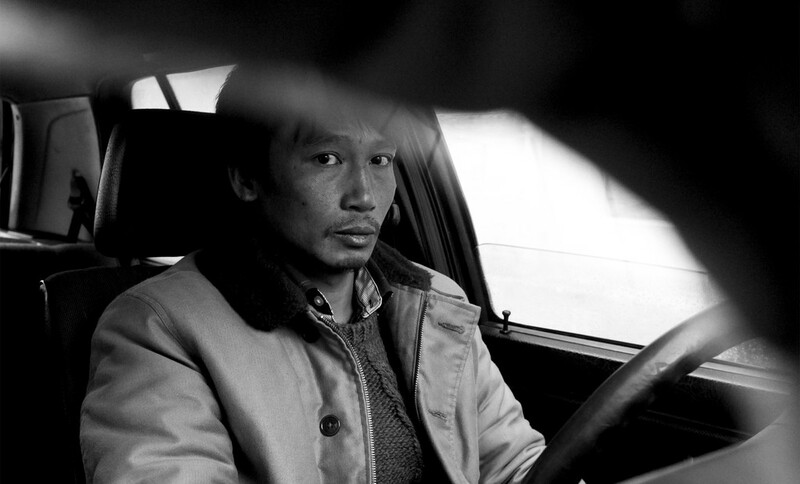 Le Propriétaire is an extremely tense film: it belongs to no one. Its author, Hu Wei, is the local "go-between" and the tenant, who knows there is a very strange atmosphere of clandestinity in which he is also the exile and the subject. Like in the queue where the asylum-seeker, almost without identity, without an address, knows that he obeys a movement, which he must comply with, but which would be in the order of transmigration. The violence within this film, its necessity, is no longer identifiable. It is simply effective, impersonal and linked to an event that cannot be situated either politically, nor historically nor even mythologically: beyond the conditions which determine the figures of exile, a body bears the marks of its movements, its expulsions, the thresholds, the rejections or the possible aids; this body is dead. This is one who must be got through, who crosses borders and who must not be got rid of but sent to jail as proof, to be covered up, of a universal perfect crime. The main character in Hu Wei's film knows that. He is the holder and the owner of this secret which is not to be revealed once again, which sticks to the surface of all films, has haunted them ever since cinema existed like a capital offense, as Murnau felt when he wrote that "every frame is the story of a murder". Hu Wei has a strong premonition of it: the cinema for him (I imagine) serves to ward off this fate, this law that says that the slightest image cannot be born except with a deadly background, where all the elements can be seen according to an expiatory victim. Hence this marvellous constraint: that a figure suddenly appears purely off-screen, both supreme and animal, that of a stag barring the road, astonishing the expectation: silent proof that other "routes" exist, other branches of space and time, other configurations not yet examined to explore. This stag is the heart of another film, of unknown properties, that one would not have been able to suspect possible without this film, devoted to its own dispossession, the movement of which will no longer be exile and immigration, but space... open spaces, not covered over by death. Julien Féret,Tony Brown, Jean–yves Langlais ,He Tai,Mezzanine,Fauna&Films, Pour Que l'Esprit Vive,l’ équipe technique du film et l’ équipe du Fresnoy studio national des arts contemporains et plus particulierement Francois Bonenfant,Daniel Dobbels, Madeleine Van Doren, Benoît Jacqot,ainsi qu’a toute ma famille.